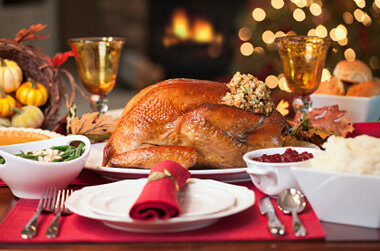 Meadowvale Catering is here to take the stress out of your holiday party planning. We provide set menus to suit a wide range of tastes but we’d be happy to customize a menu for you. Contact us today with any dietary restrictions you may have and we’ll create a custom holiday party catering menu for you. Need tables and chairs for your holiday party? We work in association with Meadowvale Party Rentals. Let us know what you needs and we can provide a quote for both catering and party rentals. $750.00 Minimum (before tax) Applies For All Package Menus. Please view our Terms of Service for our cancellation policy. An assortment of fresh fruit and cheese trays are also available. Meadowvale Catering services all of the GTA, including: Mississauga, Milton, Oakville, Brampton, Caledon, Halton Hills, Vaughan, Richmond Hill and Central Toronto. We can customize a holiday catering menu to serve your specific needs upon request. Contact us today for a free consult and quote!